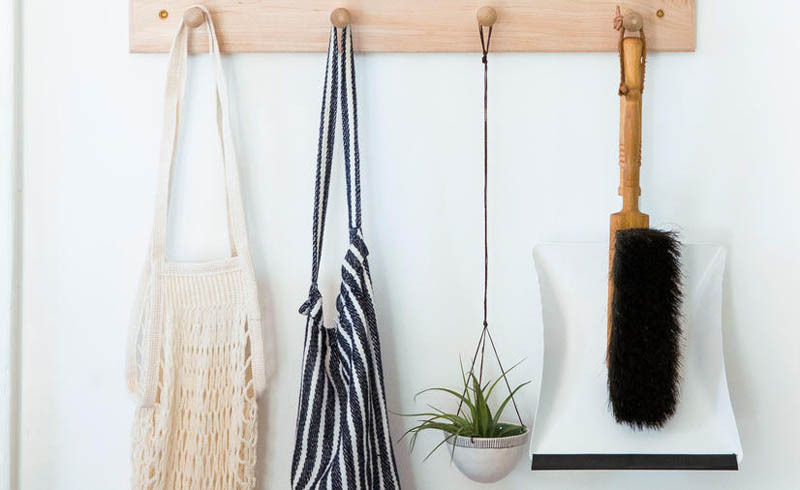 Today’s method for organization isn’t about acquiring bins and baskets to corral accumulations. 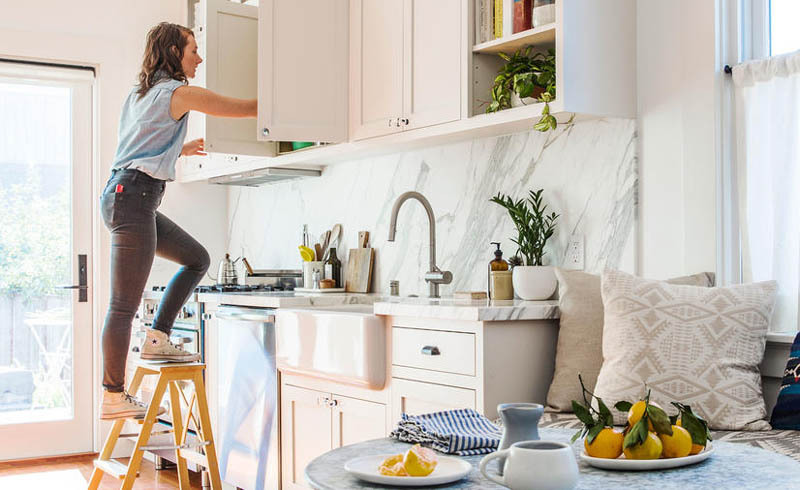 In their first book, New Minimalism: Decluttering and Design for Sustainable, Intentional Living, Kyle Quilici and Cary Fortin begin with a guide to extreme spring cleaning and continue with rules for thoughtful acquisitions. “People tell us they hear our voice when they are mindlessly shopping,” says Fortin. 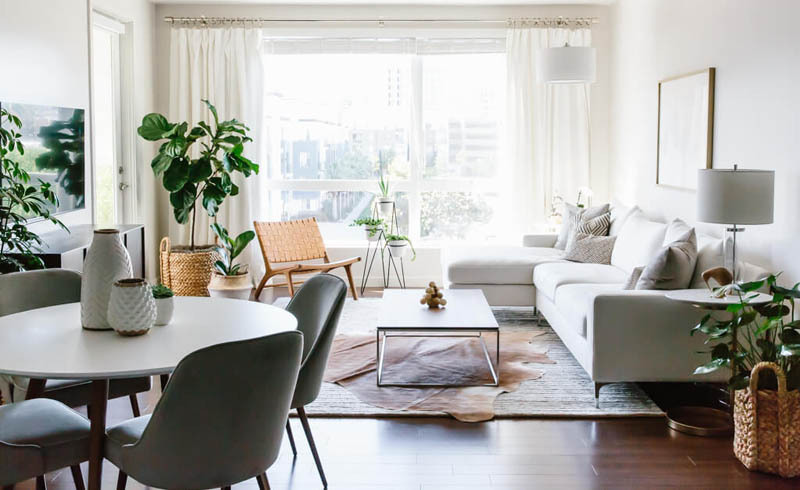 “That’s when I know we’ve created holistic, long-lasting change—when their mentality has shifted along with their space.” With an emphasis on conservation and meaningful reuse, Quilici and Fortin share their fuss-free tips for a stylish, streamlined home. 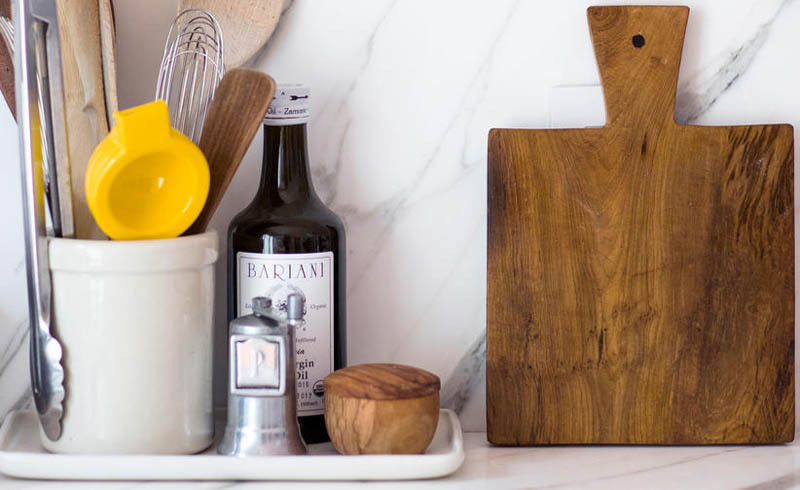 Countertops covered with everyday items indicate that cabinets and drawers are stuffed with nonessentials. 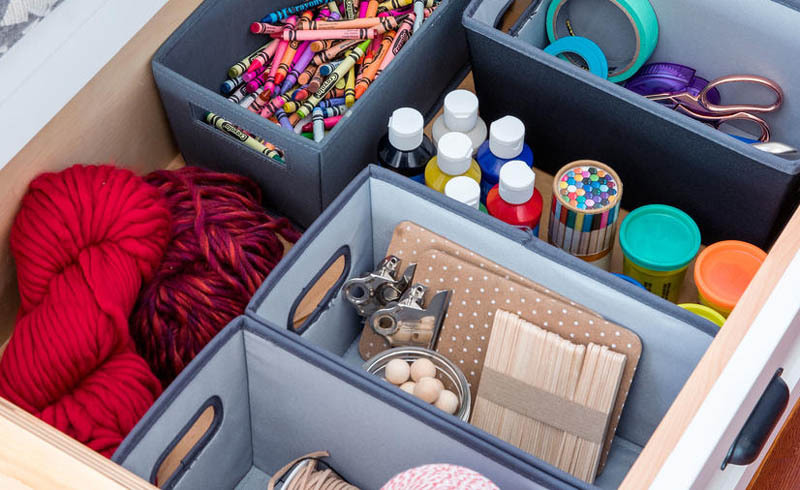 If storage is crammed to the max, it’s not functional. Instead, aim for half capacity so everything is accessible. Donate the things that you don’t require day to day. Try nextdoor.com for local organizations in need. 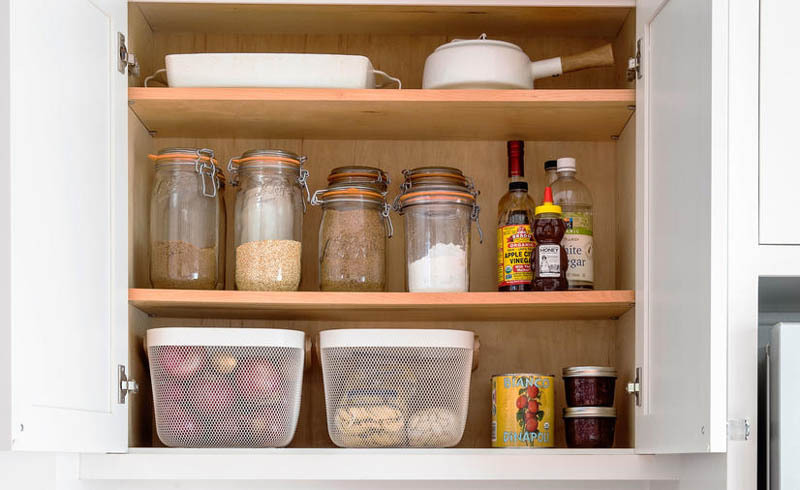 A simple organizing system of canning jars and translucent baskets won’t disguise a mess but is easy to maintain. 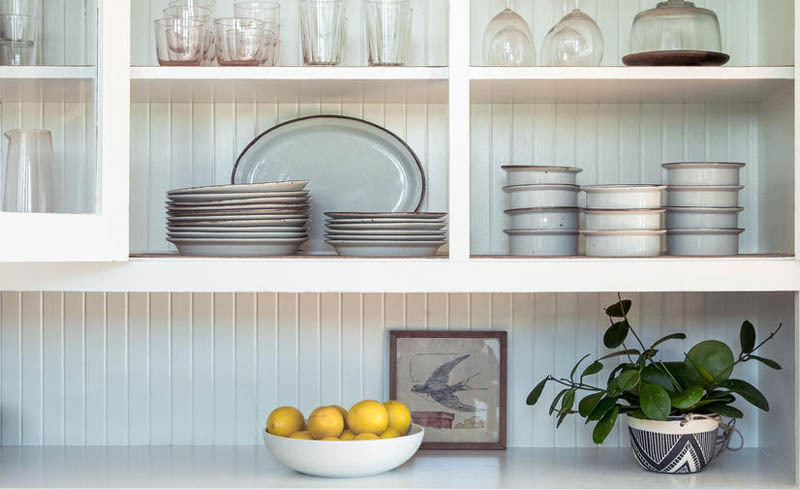 Forgo stashing away utility items in favor of open storage that helps keep things neat and in plain sight. 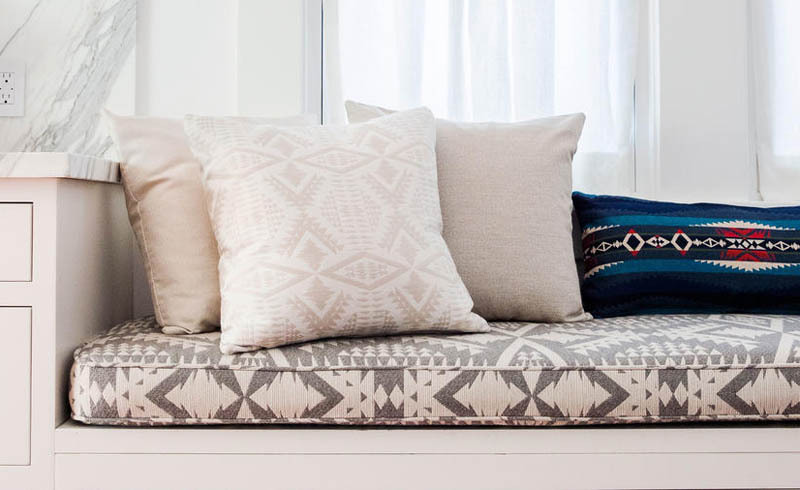 For pillows and cushions, invest in fabrics that are a cinch to wipe clean.